Genie is creating a new benchmark for customer service and maintenance efficiencies with Genie 360 Support – just ask Longreach Access Rentals. 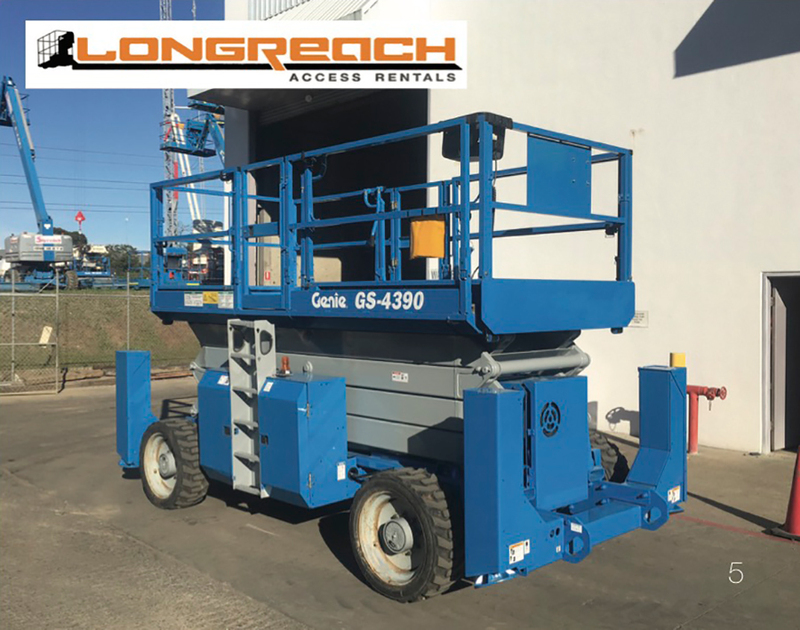 Based in Sydney’s Sutherland Shire at Taren Point, Longreach Access recently commissioned a 10-year inspection for one of its Genie GS-4390 RT scissor lifts at the Genie heavy maintenance facility at 114 Hassall Street, Wetherill Park, in Western Sydney. As part of Genie 360 Support, Genie has invested heavily in state-of-the-art heavy maintenance inspection facilities in Melbourne, Brisbane, Sydney and Perth. These facilities, are purpose-built for 10-year inspections and heavy maintenance repairs, and it complements its chain of customer support centres around Australia. “The beauty of the Sydney facility is that we’re able to perform really heavy lifts with the overhead cranes, and we have the readymade equipment to do the dismantling of boom sections, scissor stacks and the like,” said Brent Markwell, Genie Regional Sales Manager NSW/ACT, Terex AWP. The current Australia Standard AS2550.10 stipulates the use of manufacturers specifications as the primary guideline for the inspection process. “At the same time, machine performance data from Australia and the United States is the basis for the Genie inspection and heavy maintenance processes,” said Markwell. Adams steadfastly maintained the Genie inspection process is worth every cent. The Genie 10-year inspection includes non destructive testing in accordance with manufacturers guidelines. "This style of testing ensures there are no cracks and once the inspection is completed Genie always returns the machine in a state you're happy with." said Adam. "When our Genie GS-4390 RT scissor lift came back it was good as new. Genie does a great job. I'm happy with them." The turnaround time for the 10-year inspection and the major service impressed Adams. “Even with the crack tests, the machine was back in service rapidly. Genie has the facilities to do it,” he said. The demand for the Genie GS-4390 RT scissor lift is extremely robust, according to Adams. “As soon as the scissor returned from the 10-year inspection, it was rented and I haven’t seen it since,” he said. The Genie GS-4390 RT scissor lift is proving a popular fixture at construction sites in Western Sydney. “There is a lot of big buildings under construction that require this kind of machine,” says Adams. “We have put racks on the Genie GS-4390 RT scissor lift, which helps us move materials to the higher levels during construction,” said Adams. “Our customers utilise the scissor lifts large deck to shift gear to the top of buildings.